Type 1 (1.0–1.9) IPF96 U/V is intended for round and V-shape immunoplates, 1 point aspiration. 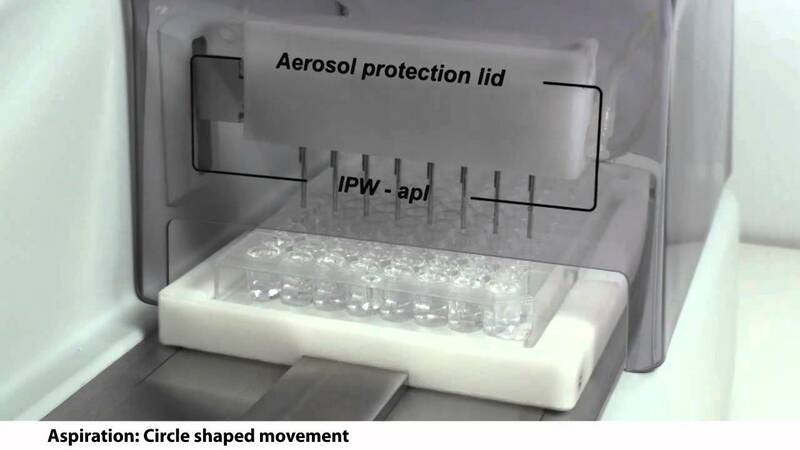 Type 2 (2.0–2.9) IPF96 FLAT-2 is intended for flat-bottom shape immunoplates, 2 point aspiration. Type 3 (3.0–3.9) IPF96 FLAT-C is intended for rectangular shape immunoplates, full-circle aspiration direction. Type 4 (4.0–4.9) FastFRAME-2 is intended for multi-slide plate* with rectangular wells. Type 5 (5.0–5.9) FastFRAME-C is intended for multi-slide* plate with rectangular wells. * - The FastFRAME (GVS Life Sciences) multi-slide plate or analog plate of another manufacturer, that is compatible with standard 25 x 76 mm (1 x 3 inch) glass slides.